Optimize the smell, taste, appearance or texture of your product. Understand the changes during shelf life by unravelling the molecular nature of aroma. A major food company wanted to determine the aroma molecules in strawberry extracts by GC-MS.
An analysis method has been developed to determine volatile compounds in strawberries, using gas chromatography coupled to a mass spectrometer with single-quadrupole analyser (GC-qMS). SENSENET took part in the development and optimization of the method used to determine volatile compounds responsible for aroma in strawberries by GC-MS. Image of sampling by static headspace injection. 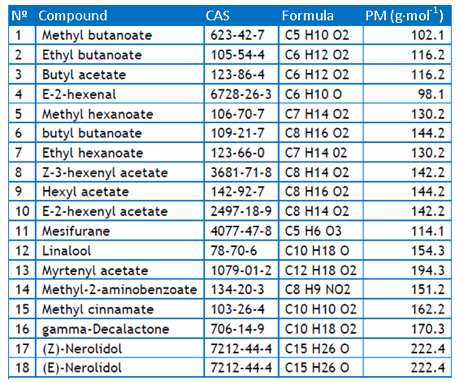 The compounds to be determined by GC-MS were those shown in the table below. The results of this project made it possible to classify different types of strawberries according to their composition of volatile aromatic molecules. Table 1. Compounds to be determined in strawberry samples. Figure 2. 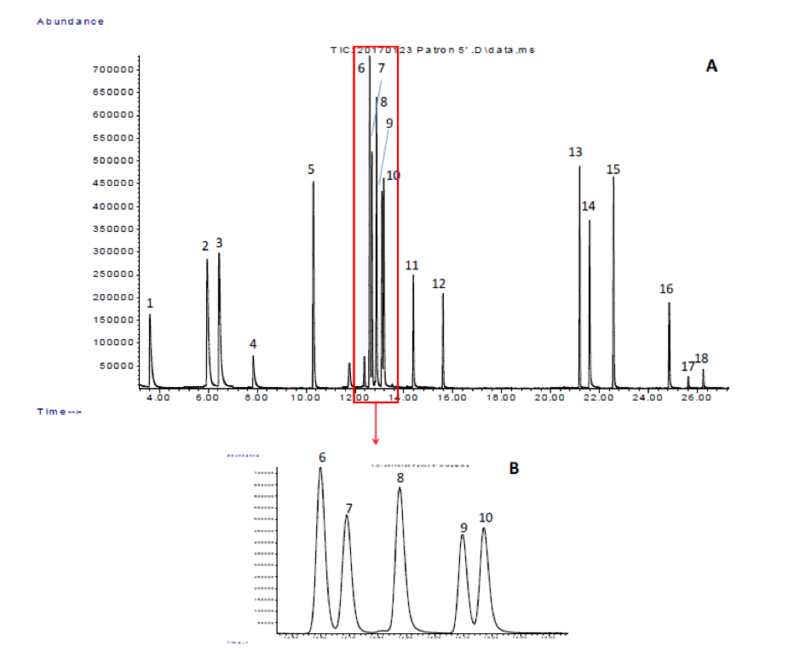 Chromatogram obtained in Full Scan mode from the analysis of a mixture of the compounds of interest (A). Extended section of the chromatogram (B). The numbers indicated correspond to the compounds listed in Table 1.